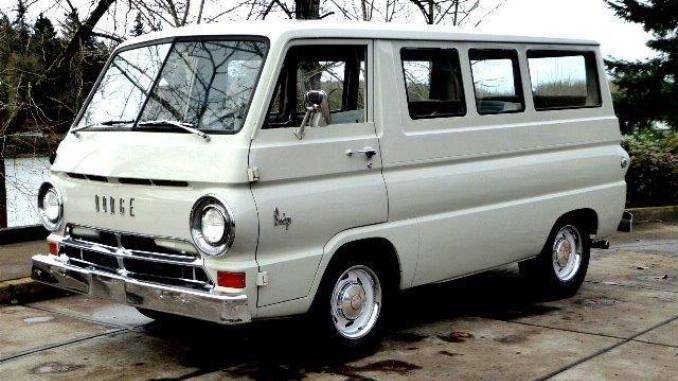 A WIDER SELECTION FOR YOU – Now Dodge offers you compact vans in two sizes…Dodge A100, on a 90-inch wheelbase with an 8 1/2-foot loadspace, and the new Dodge A108, on a 108-inch wheelbase with a longer 10-foot loadspace. Consider the bulk and the length of your loads. Then decide. Which one of these tough Dodge compact vans suits you best. 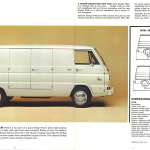 DODGE A108 COMPACT VAN – Here’s a lot more of a good thing! Here’s extra load-carrying length…10 feet of loadspace (nearly 14 feet, with right front seat removed). 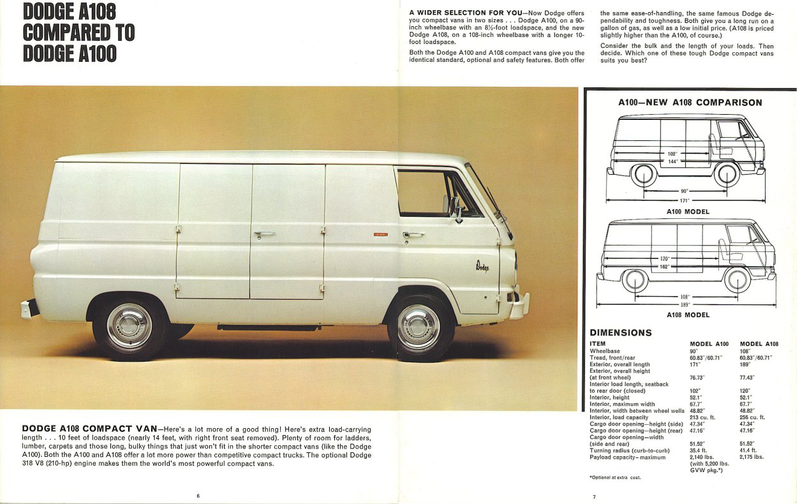 Plenty of room for ladders, lumber, carpets and those long, bulk things that just won’t fit in the shorter compact vans (like the Dodge A100). Both the A100 and A108 offer a lot more power than competitive compact trucks. 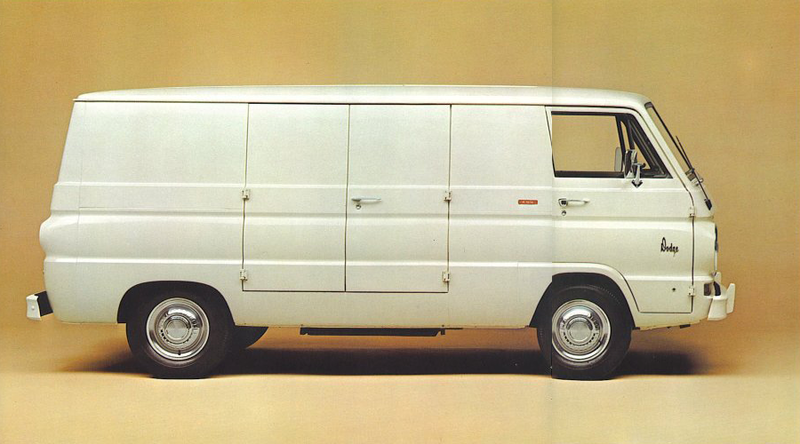 The optional Dodge 318 V8 (210-hp) engine makes them the world’s most powerful compact vans. Interior, load capacity 213 cu. ft. 256 cu. ft. Turning radius (curb-to-curb) 35.4 ft. 41.4 ft. Payload capacity – maximum 2,140 lbs. * 2,175 lbs.